Vitamin A is found in aanimal-derived foods such as egg yolks, dairy products, and liver as well as in some fruits/vegetables in the form of provitamin A carotenoids. These plant derived compounds can be converted by the body into Vitamin A. Beta-carotene, is the most efficient provitamin A carotenoid, and found in kale, spinach, sweet potatoes, pumpkin, winter squash, red peppers, and carrots. Zinc is found in high levels in the eye. Zinc is an essential trace mineral that plays a vital role in transporting vitamin A from the liver to the retina. This is important for the production of melanin, a protective pigment in the eye. 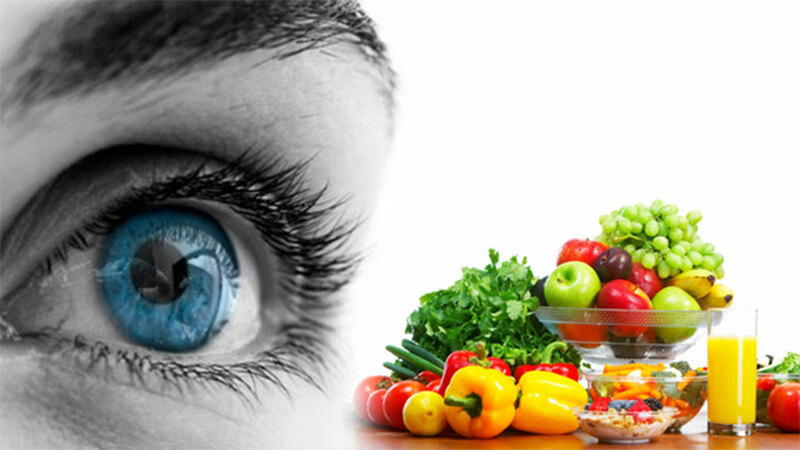 Studies show zinc can slow development of early macular degeneration. Oysters, crab, turkey, eggs, whole grains, pumpkin seeds, and peanuts include high levels of zinc. Incorporating these foods into your daily diet can help you meet your dietary needs and prevent the development of age-related degenerative diseases. Supplements are helpful as well, but its best to eat fresh whole fruits and vegetables to achieve maximum benefit. Whole foods also contain other hidden essential nutrients that hold potential benefits.